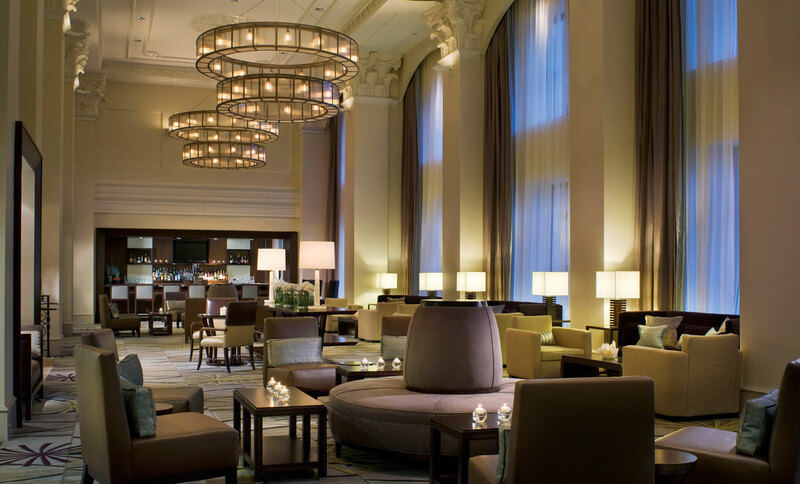 The Westin Book Cadillac hotel resonates with ForrestPerkins’ hallmark style, marrying luxury, internal consistency, and strict attention to design details with masterful use of color and scale. 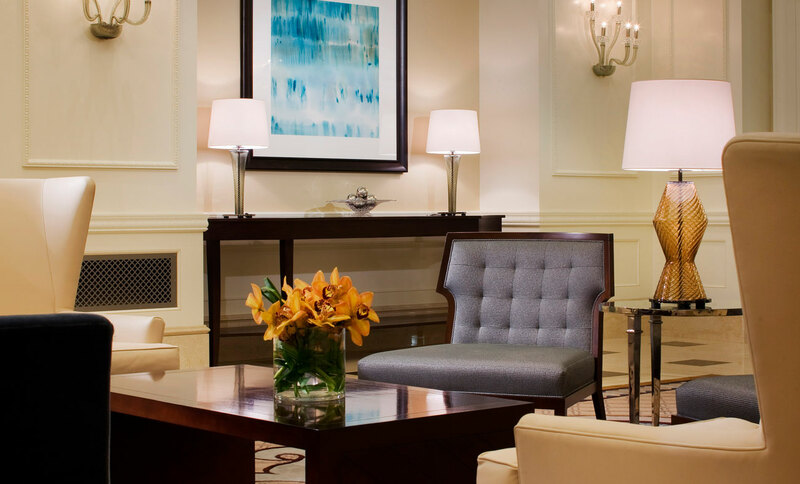 The building’s original Italian Renaissance character was restored, and now provides an artistic backdrop to the modern lines of the new materials and furnishings. 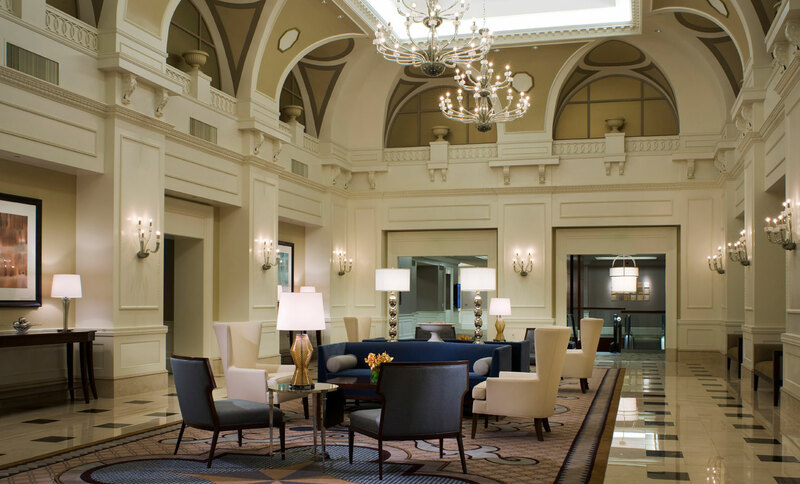 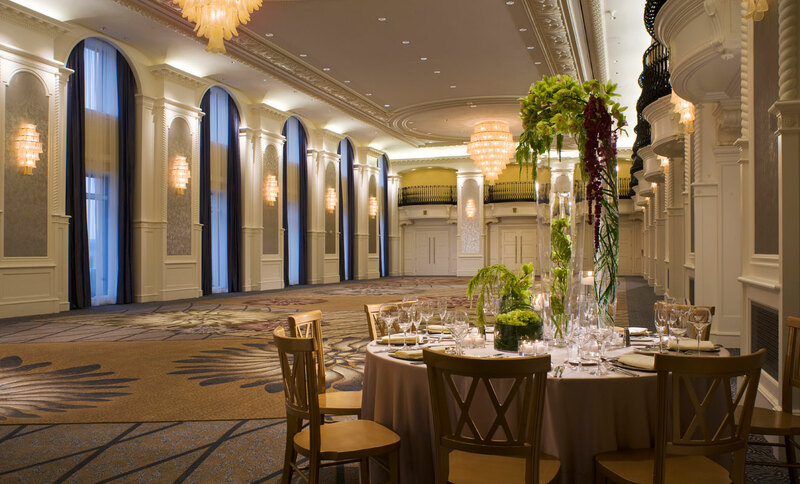 The elegant lobby retained its grand scale and architectural detail, with custom designed chandeliers suspended in front of draped arched windows and Corinthian capital pilasters. 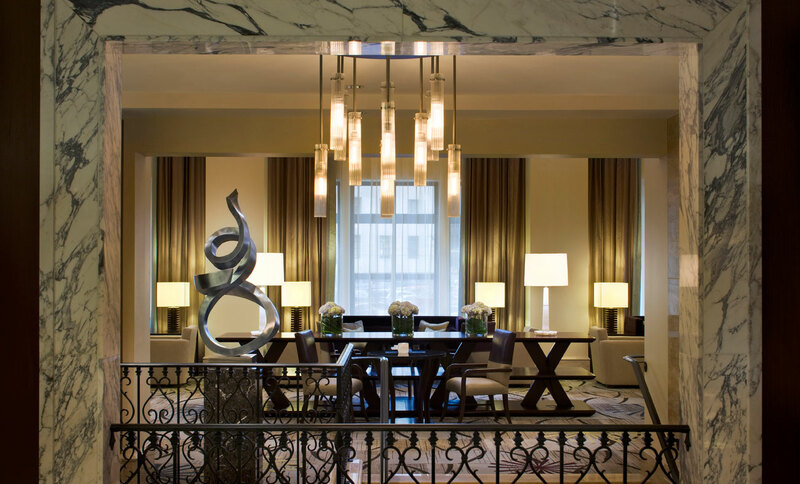 The designers chose sleek, modern furniture saturated with tones of golds, violets, soft slates, and metallics as a counterpoint to the Beaux Arts grandeur of the interior architecture.